Developed by Vocab AB, Learn English Reading Obama is an original and interesting way to help improve your English comprehension. Although not designed for beginners, Learn English Reading Obama has all the tools you need to expand your English vocabulary, including a fully integrated dictionary with translation from English to Spanish, German, Russian, French, and Italian. With the app you can listen to the Inauguration speech that Obama gave after taking the Oath in 2009, while watching the text highlighted karaoke-style on the screen at the same time. 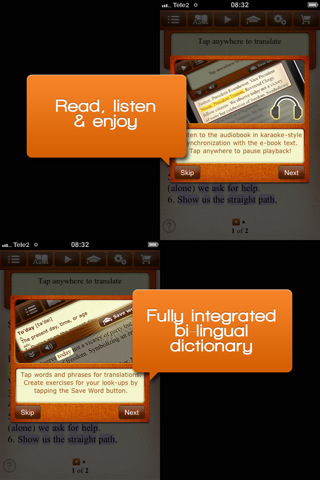 If you come across a word you don’t know, you can just tap on it to quickly find the definition in multiple languages. As you listen, you can also add words that are new to a list of saved words which form the basis of your own personalized language exercises. 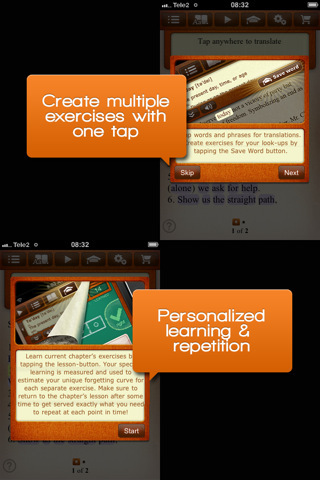 The exercises include flashcards and context-based learning to truly cement the vocabulary. The interface is a little hard to get your head around to begin with, with generic icons that make it hard to know where to access the different features of the app. Learn English Reading Obama also only contains the one speech, but it’s a long speech (in three parts) – so there’s a decent amount of content here to work through. And since it’s Obama and not Bush, there’s a fairly high quality of English being used.